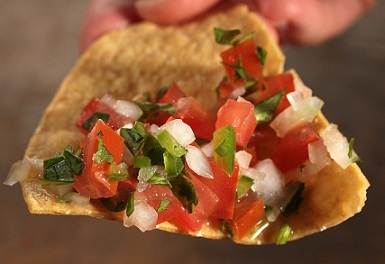 A Pico de Gallo Recipe (literally the "rooster's beak") is a fresh salsa made from chopped tomato, onion, and chilies -usually serranos or jalapeños and usually fresh cilantro. Other ingredients are often added to the salsa, such as lime juice, garlic, avocado, cucumber, or radish. The name "rooster's beak" probably comes from the beak-like shape and the red color of the chilies used to make it. 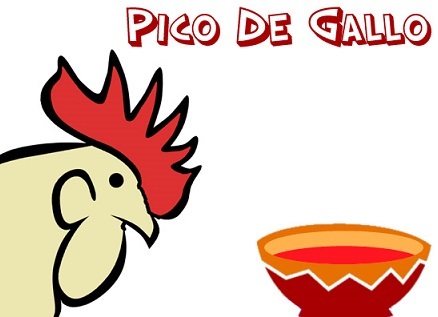 I love the name so much I call the salsa "The Rooster's Beak" on the restaurant menu. My guests seem to like the name almost as much as the salsa. Pico de Gallo is quick and easy to make. This is something you really should make yourself if you have even a little time to spare. It will keep well in the refrigerator for several days and is great with tortilla chips, eggs, fajitas, nachos, tacos, black beans, or refried beans. Note: Serrano chilies possess a lively heat but are not over-powering so long as they are very finely chopped. Use disposable latex gloves when handling fresh chilies. Be careful not to touch any part of your body, especially your eyes. Peppers will burn. After handling the chilies, wash your knife and cutting board with hot soapy water very well. Preparation time: 15 minutes. Makes 2 cups. Enjoy your "Rooster's Beak" recipe and the company of those you share it with! Did you know? 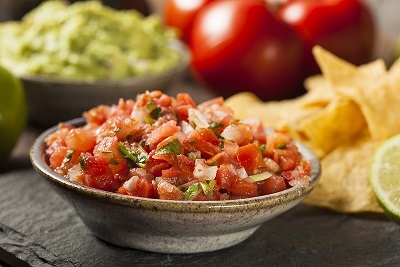 Pico de Gallo is also called salsa fresca.